Summer is the ideal time to take a road trip. Between the gorgeous weather and the destinations that are ideal to visit during this time, you might as well head out on an adventure to somewhere great. 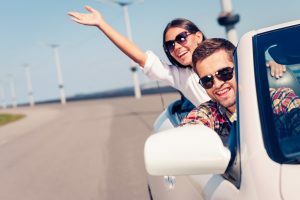 At Klasse Auto Rentals, we know that every great road trip starts with a gorgeous rental car, but when it comes to road trips, we know exactly what you need: a luxury convertible rental. Out of all the luxury cars that you can rent, luxury convertibles are easily one of the most enjoyable options that you can choose from a car rental company. They are basically a guaranteed good time and fun ride. Most luxury convertibles can be found in both automatic and manual, so there’s no reason that you wouldn’t drive with ease. It’s hard to deny that convertibles are good looking cars. Regardless of if you’re renting a classic black convertible or a bright yellow one, you will rarely hear people say that your convertible isn’t the most stylish car in the parking lot, let alone on the road. There’s something incredible about the wind blowing in your hair when you’re on a drive. This is one of the primary selling factors for cars like convertibles and jeeps, and for good reason. As you head out on a drive, whether it be through the country, down the winding streets of the city or along the waterfront, you’re sure to enjoy the refreshing and exhilarating feeling of the wind blowing past you. Don’t settle for just any luxury car when it comes to your next rental, find the convertible that will enhance your next ride here at Klasse Auto Rental.